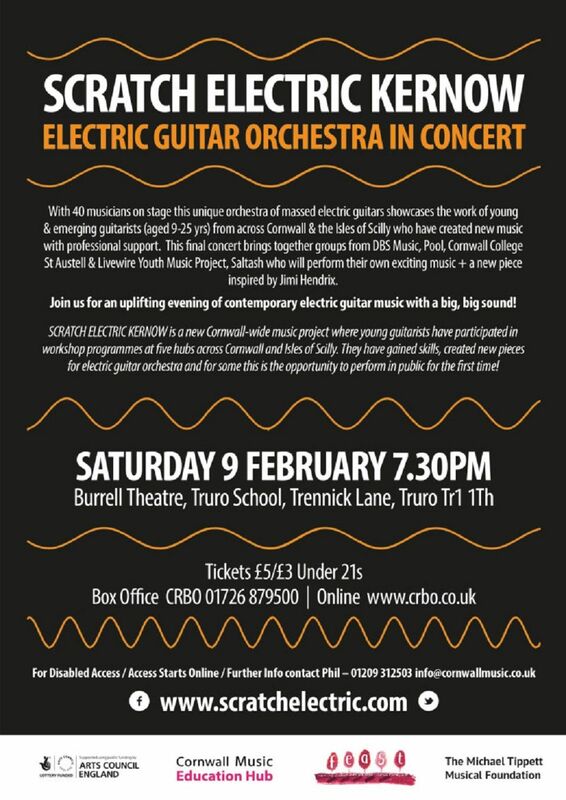 With 40 musicians on stage, this unique Orchestra of massed electric guitars showcases the work of young & emerging guitarists (aged 9-25 yrs) from across Cornwall & the Isles of Scilly who have created new music with professional support. This final concert brings together groups from DBS Music, Pool, Cornwall College St Austell & Livewire Youth Music Project, Saltash who will perform their own exciting music + a new piece inspired by Jimi Hendrix. Join us for an uplifting evening of contemporary electric guitar music with a big, big sounds!